Today’s practice guides students to tune into the wave like motion of the breath. As they become comfortable with the rise of the inhale and fall of the exhale, they are encouraged to find focus and stillness in the pause that happens at both the top and bottom of the breath. Learning or re-discovering this clam pause and incredible stillness we all have access to. Britt has lived in the Burlington, Vermont area for the last 10 years. She teaches LoveYourBrain friendly classes at Sangha Studio. As a teacher she strives to create a container in which students are able to move, breathe, sense and feel in ways that are most beneficial to their practice. Britt uses her personal yoga practice to ground, to calm, to quiet her mind and to turn inward and seek authentic answers. She hopes to provide students with tools to take off the mat and into daily life. Today's practice focuses on inner strength. This practice uses the breath to move through things that are bothering us and guides us to bring in more awareness of the things we already have. 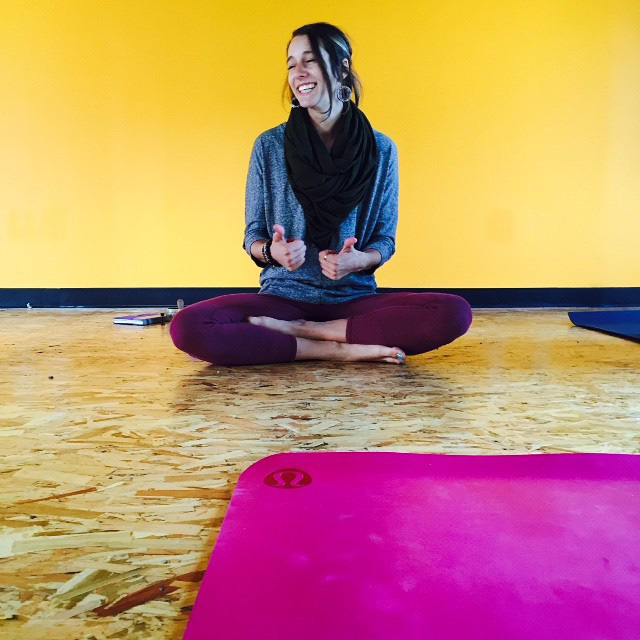 Caitlin began consistently practicing yoga in 2011 at a free class in a community space. It was this unconventional beginning that has led to an unconventional path of teaching and studio management. In 2012 Caitlin pursued her first yoga certification at Fluid Yoga with Kevan Gale(located at Stil Studio in Dedham, MA). 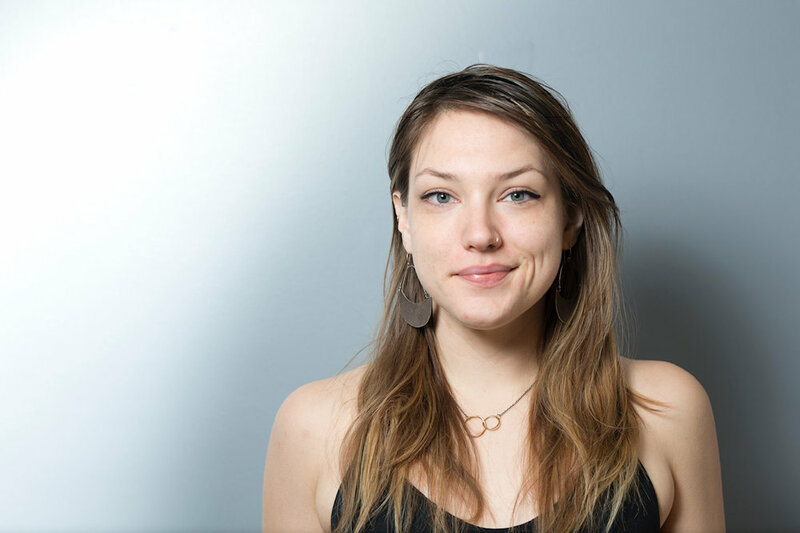 She began teaching donation-based classes regularly and in 2014 she founded Sangha Studio, Vermont’s first and only nonprofit, donation-based yoga studio. As a teacher and Executive Director at Sangha Studio, she prides herself in supporting the creativity of teachers and students and believes in the power of community and collaboration. During her classes, Caitlin hopes to deepen each student’s individual practice through hands-on adjustments and assists, precise alignment cues, and creative sequencing. Her classes encourage students to get to know each other, challenge their way of thinking, cultivate awareness of the breath/body connection, and build strength. Today's practice is for those moments when you don't think you have time; you might feel a bit frantic, overwhelmed, or buried by your to-do list. This guided relaxation is intended to hit the pause button and allow you to step back momentarily so you can return to your day-to-day life refreshed and more at ease. I am an E-RYT® 500 yoga teacher with over 1,000 hours of training in yoga and yoga therapy. I offer yoga practices that cultivate spacious awareness for the hectic, modern life. I come to yoga with a Masters’ in nutrition and want to help individuals who are too busy for self-care to find balance through yoga, mindfulness and compassionate self-inquiry. The flavor of my classes revolve around nurturing the body and mind, attention to healthy alignment, and purposeful relaxation. This practice is designed to help build resilience and openness in the face of difficulty. Through visualization this practice allows the nervous system to shift into a relaxed state and releases tension that is being held in the body. Asa is a yoga + meditation teacher based in Providence, Rhode Island. She is deeply committed to cultivating meditative spaces, through which we can access deeper parts of ourselves and bring about lasting transformation. Asa understands that it is in the spaces between thoughts, words, and actions where we can achieve a sense of relaxation and connection to the world around us. Today’s practice focuses on calming and silencing the mind so that it may guide you to reveal potential solutions to symptoms you maybe feeling on your healing journey. This practice invites you to notice body sensations, and feelings as you settle in and explore how to work with your bodies inner knowing of what it needs at the moment. Beckett is a traumatic brain injury survivor and LoveYourBrain Ambassador who is living in Phoenix, AZ. He is a certified Mindfulness Facilitator and Spiritual Empowerment Coach. He coaches survivors on how to thrive after their trauma by using various mindfulness, and meditation techniques, as well as other modalities. This practice invites us to explore our inner resilience through the energy invoked by our breath. Resilience is our ability to bounce back from adversity. All of us experience challenges in life that test us. Although difficult, these challenges are always where we learn the most about ourselves and others, and inspire new strength, wisdom, and compassion. Meditation can be a helpful way to practice resilience by connecting to our inner resources of strength, courage, and love to help us move forward. 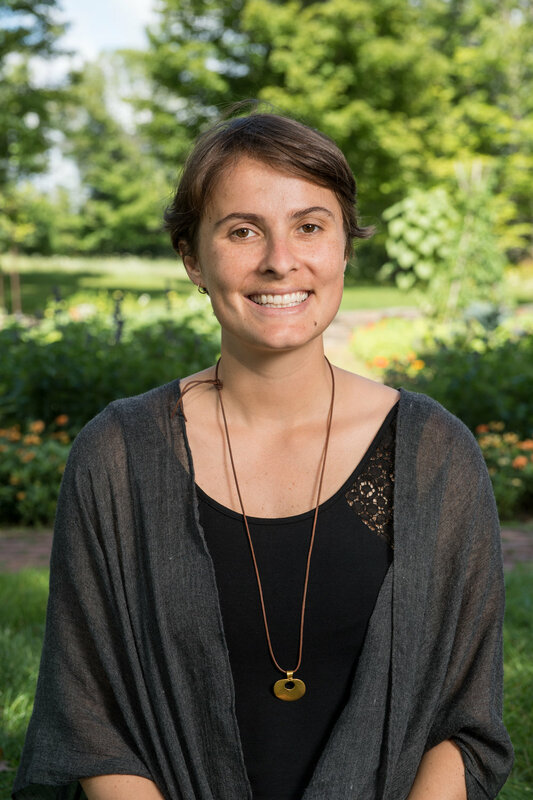 Kyla serves as the Senior Director of the LoveYourBrain Yoga program, overseeing the design, implementation, and evaluation of the program on a national level. She has been part of the Pearce family for years, and, following Kevin's accident, played an integral role in the launch of LoveYourBrain. Kyla has blended her expertise as a yoga teacher and researcher to develop a TBI-centered yoga curriculum, which she trains yoga teachers and clinicians to deliver through workshops across the country. She is also pursuing a doctorate from Dartmouth College with research interests in the application of yoga and meditation for therapeutic purposes.